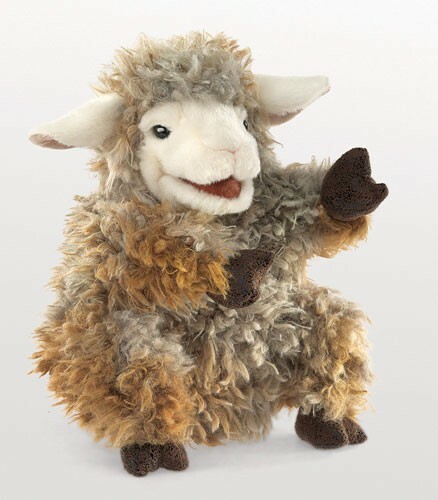 Folkmanis 3059 - Whimsical and light hearted, the Folkmanis® WOOLY LAMB puppet sits up waiting to play. Featuring a soft wooly coat, huge ears and leatherette hooves, this free range friend also boasts a movable head, mouth and forelegs for unlimited hours of fun. Measures 7” long, 9” wide, 9” tall.